Looking for inspired ways to bring light, sea breezes, and a feeling of expansiveness into your home? At EBS Building Supplies, the motto is “Can do! 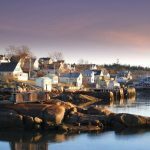 Just ask.” That kind of positive spirit and dedication is exactly what Maine homeowners are looking for when it comes to reimagining the places they live. 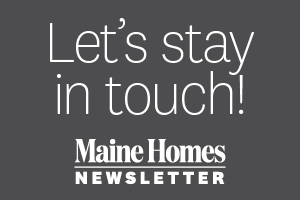 EBS has 10 Maine coast locations from Rockland to Calais and a team of Marvin Windows and Doors experts who regularly offer up valuable insight into coastal living design trends. Tap into their expertise here. Q: What are the most important considerations when selecting windows and doors for a coastal property? A: Our customers ask questions that generally fall into three categories. First, how do I create a seamless connection between my home’s interior and the beauty outside? Next, how do I select windows that allow me to take full advantage of sea breezes? And finally, how do I create the largest unobstructed views possible? Listening to our customers is extremely important at EBS, so we would say the top considerations center around those points: creating smooth transitions, positioning windows and doors for proper ventilation, and showcasing the view. Q: What are my options for creating seamless access between my family room and deck overlooking the ocean? A: Marvin Windows and Doors offers several unique ways to connect your beautiful interior to your coastal landscape. The Marvin scenic door portfolio includes stunningly large doors that seem to defy physics as they slide open with the push of a finger. There are three distinctive options for creating a movable “wall of glass” that gives you seamless access to a deck, patio, porch, or beachfront. One Scenic Door option, the Marvin Ultimate Lift and Slide Door, adds acres to your floor plan, as the barrier between inside and beyond disappears. If your dream is a bank of French doors or more traditional sliding doors, Marvin crafts those, like each of its products, one at a time by hand, to ensure that they facilitate the lifestyle you envision. Q: What are the best options for enjoying ocean breezes? A: Many Maine architects recommend installing windows on two walls of a room to provide that delightful cross-breeze. At EBS, we talk to homeowners about where the sun rises in relation to the room they are designing, the typical direction of the winds on the property, and which waterfront view they want to focus on. We take all of these factors into consideration when recommending a window style. Many homeowners choose a bank of traditional double-hung windows, which open and close easily when inclement weather approaches. These have a grid design on the upper glass and a clear lower area so that the view is unimpeded when you are seated. 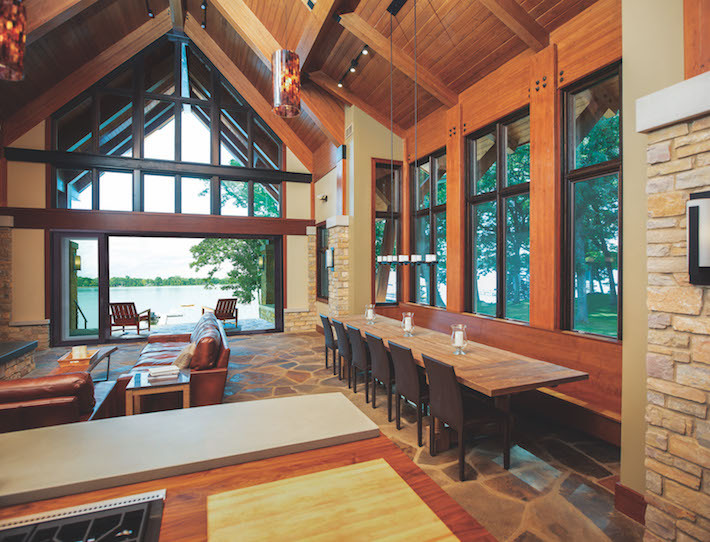 Marvin’s casement windows are also a favorite for creating unobstructed vistas. They feature window sashes that are attached by one or more hinges on the side and can swing either inward or outward. Others love Marvin’s awning windows, which have hinges on the top and swing outward. There are many wonderful options and our Marvin Windows and Doors experts can help guide you through the process of weighing your priorities and deciding on the best way to embrace your beautiful coastal location. Q: Is a picture window appropriate by the ocean? 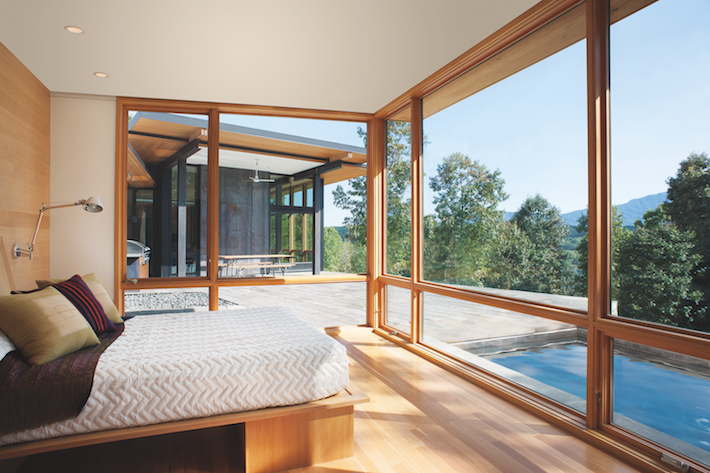 A: For years, homeowners have relied on picture windows to frame their inspiring views. Yet some feel that a traditional picture window may not be the best choice when it comes to ventilation. Marvin’s exclusive Ultimate Venting Picture window has changed that. 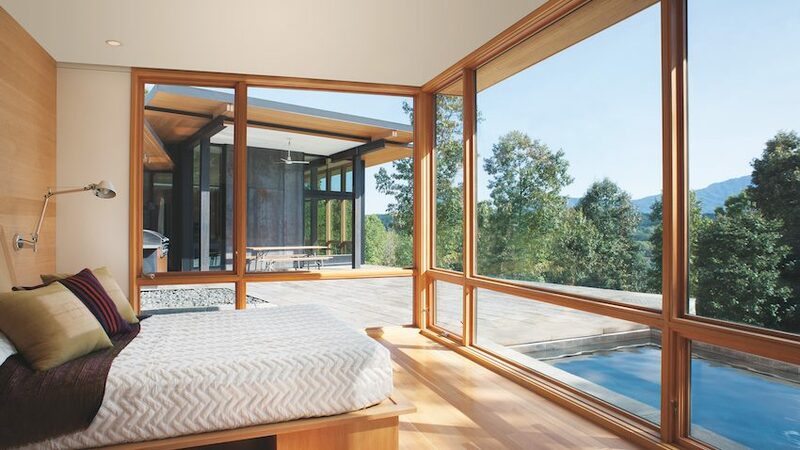 This revolutionary window provides unobstructed views and a patented hidden screen system, allowing it to open on all sides for passive air exchange. When positioned strategically with other windows, Marvin’s Ultimate Venting Picture window can provide that spectacular view and those delightful ocean breezes. 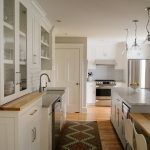 Q: What is the trend in interior finishes for coastal windows and doors? A: While white has long been the color of choice to frame a waterfront view, that is now changing. We find that many homeowners are opting for black interior finishes. 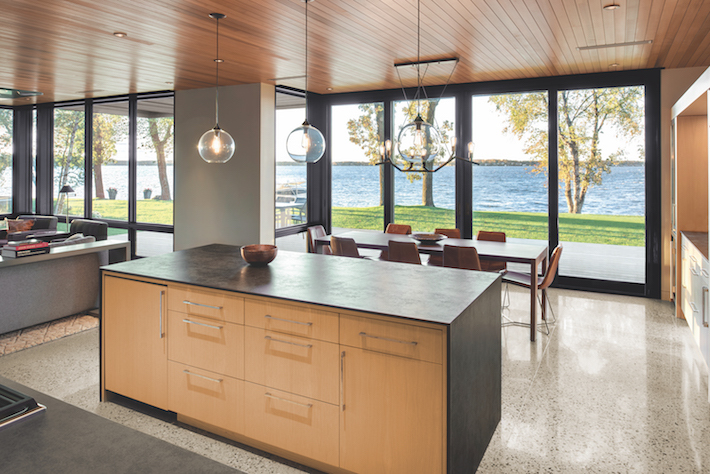 Marvin Windows and Doors has listened to our customers, as well as architects and designers, and has just added Designer Black to its line of finishes. This means that, along with white and seven stains, we can now offer you Designer Black interior finishes that are applied at Marvin when your windows and doors are being created. The result is windows and doors that are ready to install without the need for a painter on site. Q: Our coastal home is situated with beautiful views on two sides — is there such a thing as a corner window? A: Yes — at EBS Building Supply, we offer the exclusive Marvin Corner window. This stunning option is designed to offer clean sight lines from multiple angles and can be crafted in extraordinary sizes, adding architectural interest to your home both inside and out. Wherever it is used, the Marvin Corner window provides a huge wow in your design. Q: Can you suggest the best window treatments for these unique windows and doors? A: Many of our customers have been delighted by Marvin’s integrated shade system. This option requires no measuring, as the shades are ordered with the windows and become part of the crafting of your order. 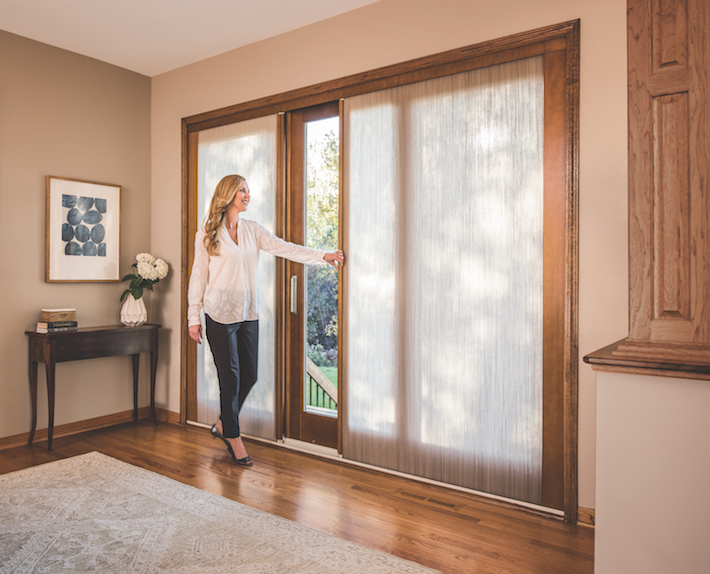 The shades appear as a seamless part of your window or door with no visible cords or pulleys (to blow in the ocean breeze) and the fit is so precise that you’ll never be awakened by a shaft of light creeping around the edge. They can be easily removed for vacuuming, which is all that’s needed to keep them fresh and clean. At EBS, we can show you the color options and explain more about this wonderful way to achieve both unobstructed sunlight, as well as shade and privacy. EBS Building Supplies has been a trusted coastal Maine Marvin Windows and Doors retailer for many years. 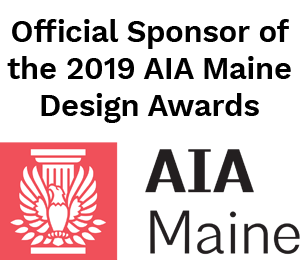 The two companies work closely to ensure that architects and homeowners all along the Maine coast have access to the perfect windows and doors to create the ultimate coastal experience. For more information, visit ebsbuild.com or stop by one of their 10 locations from Rockland to Calais.